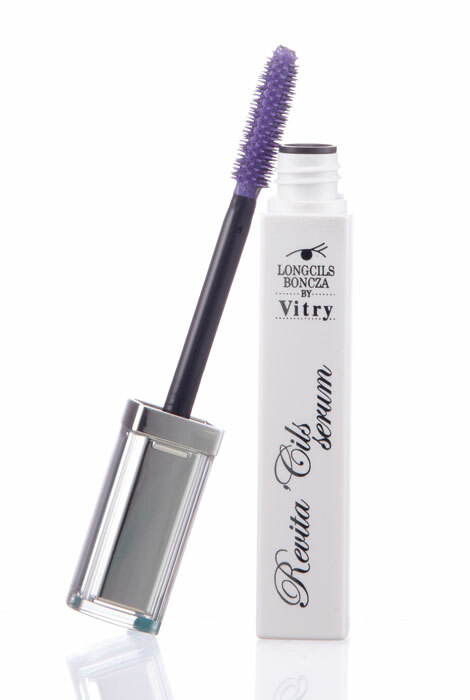 Grow a long, beautiful fringe of natural eyelashes with this innovative French Vitry Eyelash Growth Serum. Developed and made in France, the formula contains a powerful blend of panthenol and an original matrix of peptides known to slow the fall of lashes and stimulate lash growth. Clinical results showed a 136% increase in lash volume, a 43% increase in thickness and a 40% increase in length. It’s unlike anything else on the market, with results in as little as 15 days. Application is easy, just apply three coats onto clean lashes in the evening and leave on overnight for effective results. Hypoallergenic. 11mL. Apply 3 coats in the evening on clean eyelashes and leave overnight for effective results. Bought this product in St.Barth. It works...my eyebrows and eyelash are growing back!!!! What a waste of my money - shocked that when I went to use the product there wasn't anything in the container, either dried up and old or never put in the bottle! I will like to try. My eye lashes need a lot of help. I am looking for something to help my eyelashes grow since they are getting shorter and sparse. Need eyelashes to grow !!! I saw it in the magazine that was mailed to my house and it seems like it will work. I thought the description sounded convincing for lash growth. I chose this product because it works. If used on a regular basis as instructed, it really does enhance the growth rate and thickness of a person's eyelashes. How long has Vitry lash serum been on the market?